alaTest has collected and analyzed 496 reviews of Huawei Honor 9 Lite / Huawei Honor 9 Youth Edition. The average rating for this product is 4.7/5, compared to an average rating of 4.1/5 for other Cell phones for all reviews. Reviewers really like the screen and size. The usability and performance are also appreciated, whereas some have doubts about the sound. We analyzed user and expert ratings, product age and more factors. Compared to other Cell phones the Huawei Honor 9 Lite / Huawei Honor 9 Youth Edition is awarded an overall alaScore™ of 94/100 = Excellent quality. The Honor 9's stripped-back sibling offers plenty but does it still make the grade? The Honor 9 Lite’s bezel-light design and twin-lens camera tricks are eye catching, but it’s perhaps too quirky to fully take on the Motorola G-series at the top of the table. A good affordable phone, but the Motorola is better. The Honor 9 Lite has four lenses, a glass body, and tiny bezels, all for less money than you'd expect. It's not too pricey, either. This phone has the makings of a good deal. Could this be the smartphone steal of 2018? Honor has become accomplished at churning out excellent-value smartphones, and the Honor 9 Lite is no exception. It's not perfect, but with a decent quad-camera setup and a very handsome design, it delivers exceptional bang for your buck. The starting price of Rs 10,999 (for the 3 GB RAM and 32 GB storage) for a handset that looks this lovely is itself enough for a lot of consumers to pick up this phone. Honor 9 Lite Review: Another brilliant budget blower? 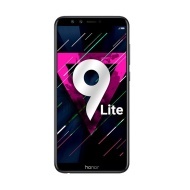 The Honor 9 Lite is another great value Honor smartphone, although we're wondering if the company needs to launch quite so many handsets. Here's our in-depth Honor 9 Lite review, so you know how this blower compares with its siblings and rivals. The Honor 9 Lite hits the UK at just £199 bringing with it an 18:9 screen, Android Oreo and no less than four cameras. Here's our review.